Meet Blue-Bot, the new Bee-Bot robot with a Bluetooth connection! Use the buttons on the back to program Blue-Bot just like Bee-Bot. Connect Blue-Bot to your tablet or PC via Bluetooth, using free apps, and program Blue-Bot remotely. Blue-Bot offers all the features of Bee-Bot while also introducing remote control! 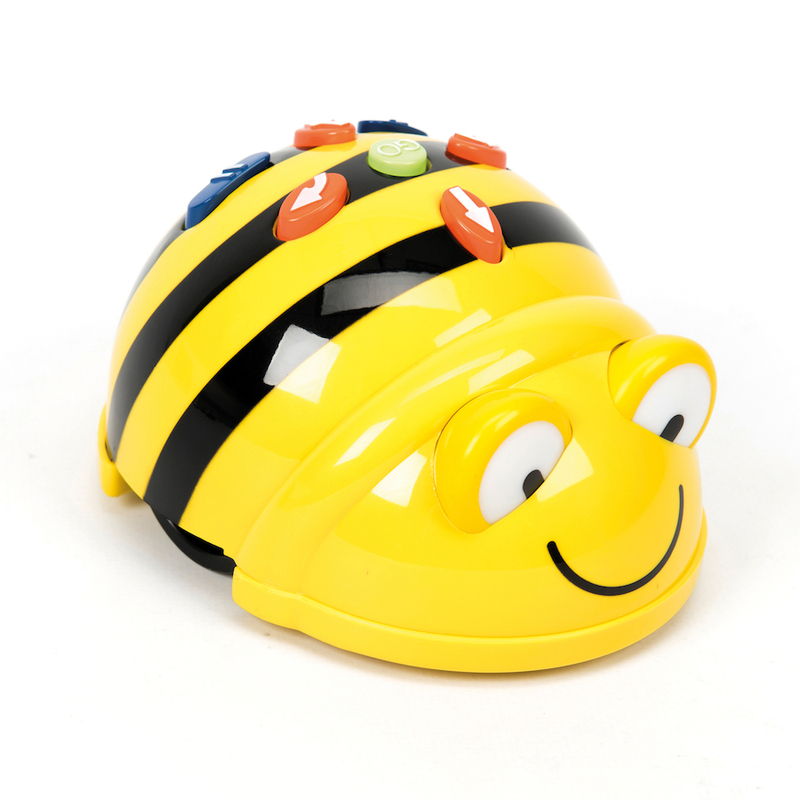 The Bee-Bot is cheerful, round and very good fun, but it does much more than simply make people smile – it allows children from the age of 4 to get to grips with the rudiments of robotics and with the characteristics of a robot. Not only is the Bee-Bot good fun, it’s also child’s play to use! There are directional keys on the top of its back – left, right, up, down – and an OK button to validate.